How is your meat prepared and shipped? 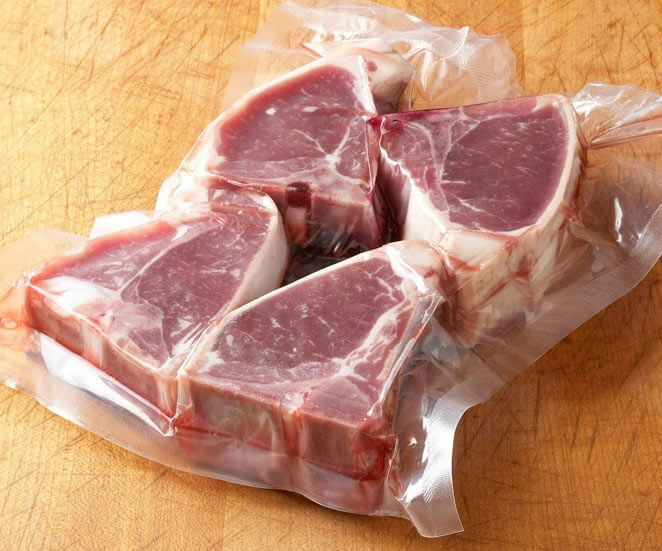 Our Lamb & Goat is is USDA inspected, vacuum sealed for freshness frozen, and shipped via Federal Express 2-day. None of our meat is imported or mixed with other producers. 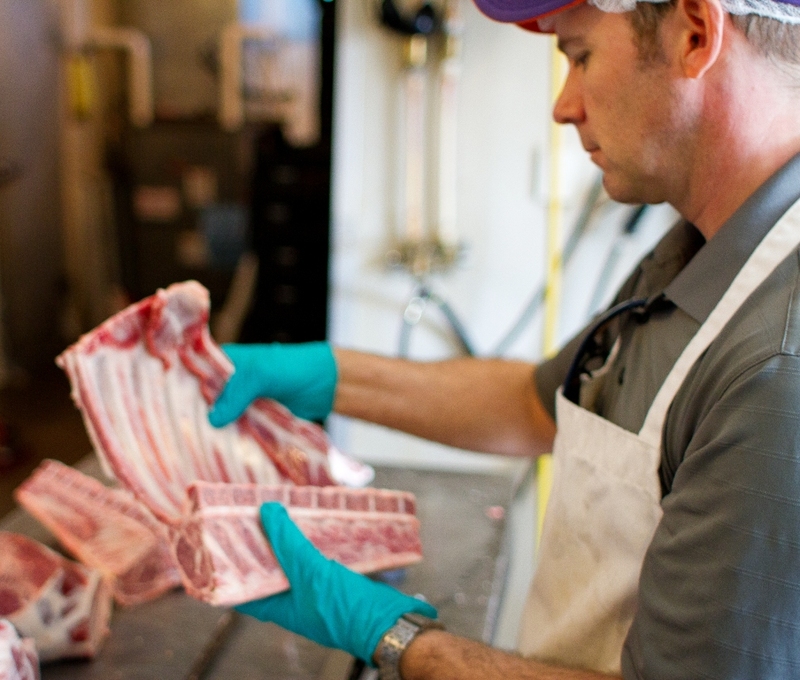 Can you ship your Lamb & Goat meat outside the U.S.? Due to the difficulty of controlling length of delivery, we do not ship outside of the U.S.
Where are your Lambs & Goats raised? Our lambs and goats born and raised naturally on our farm. The cool northern summers of Wisconsin result in outstanding pastures that produce premium, lean lamb and goat in a healthy environment. They live in the open air and sunshine. We do not confine our livestock to stalls, on concrete or in feedlots. Quality of life for our animals is one of our main values. How do I cook lamb & goat meat? Check out some of our recipe suggestions. Lamb and goat meat is as easy to prepare as it is versatile. It lends itself to broiling, roasting, braising, barbecuing, stir-frying, sautéing or stewing. Lamb and goat meat is best when served rare to medium. Overcooking, a common mistake, can diminish its flavor and texture. While lamb and goat meat has a classic affinity for many spices and herbs, it requires only simple seasonings to become an excellent offering. Lamb’s and goat’s versatility is compatible with almost any type of menu. They work well with both traditional American fare and the increasingly popular ethnic trends such as Mediterranean, Caribbean and East African cooking. It fits today’s style of lighter, leaner and healthier foods. Barbecue ribs, salad, stir-fried and stew are options for both casual and fine dining menus. Is Lamb & Goat nutritious? Lamb and goat provides an ideal opportunity to take advantage of today’s trends: the return to simpler, more basic cooking; the rebirth of classical dishes; and an overall emphasis on health and nutrition. Lamb and goat also lends itself to signature dishes, regional cooking styles, and the growing ethnic trends. What do you feed your Lambs & Goats? Our lambs & goats are fed according to 100% Grass Fed standards as set by the USDA Grass fed and American Grass fed Association. 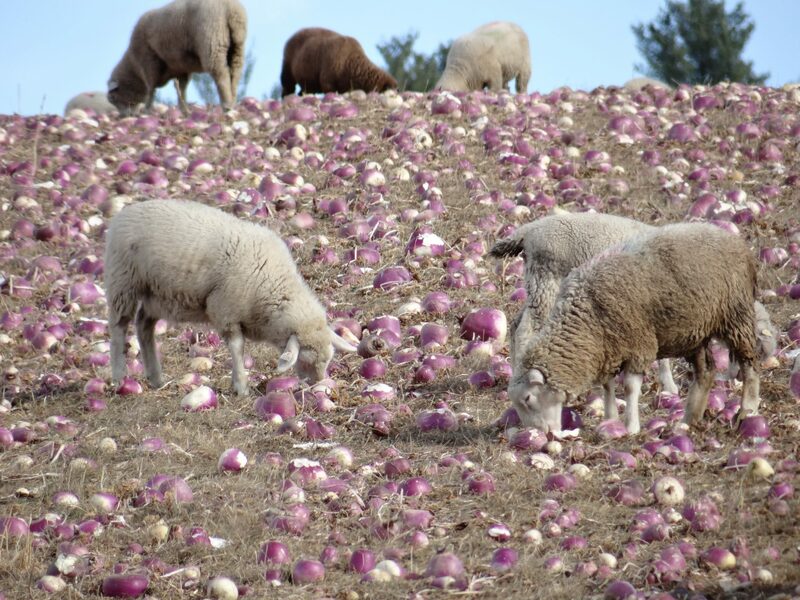 Why are 100% grass-fed lambs allowed pumpkins, apples and turnips as shown in your blog? Actually, the term grass fed is a bit of a misnomer as many other forms of natural forages are allowed and relished by sheep and goats. This includes fruits (a pumpkin is a fruit), vegetables, tubers and roots that are all great alternative foods for grass fed lambs and goats. Other forages include grasses (native, annual, perennial), forbs (legumes and brassicas such as turnips), herbaceous plants (squashes, pumpkins), browse (wooded growth), or cereal grains in the vegetative (pre-grain) stage. These alternatives to native grasses are especially important during autumn when the frosts drive the sugars from grass causing low nutrition and poor or no growth for young ruminants that need higher energy food choices. Do you do local deliveries or have a farm store for local pick up? We provide free local delivery to the Minneapolis-St Paul, MN metro area and to Menomonie, WI. Call us for details. We do not have a farm store so cannot sell directly from our farm. We are always happy to discuss options with our customers by phone (715) 265-7637 or use the contact page template or direct to BuyGrassFed@gmail.com. Do you provide wholesale prices to restaurants & grocers? Yes. If you are interested in custom and bulk order Call to discuss available options: (715) 265-7637. Can you provide custom cuts or Zabiah Halal Slaughter? Yes, for a small additional fee meat can be cut to your specifications. Zabiah halal slaughter is available at the USDA slaughter facility during scheduled slaughter for restaurants that require halal certified meats. Supervision can be provided by the customer or by the restaurant’s contact.